If you’re relocating to Australia, for business or personal reasons, there are a number of things you may want to make yourself aware of before taking the big leap. 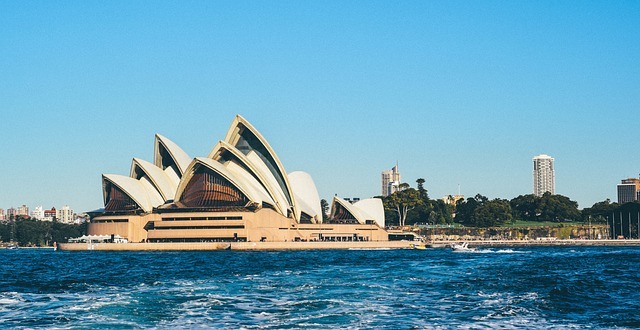 With this guide, we hope to make your move to Australia as easy as possible. Additionally, you can read on to find out more information about My Baggage – our convenient, affordable and reliable door to door luggage shipping service that could help you to save time and money on transporting your worldly possessions to Australia. Australia – or as it is often referred to, OZ or the Land Down Under – just so happens to be one of the most popular holiday and emigration destinations in the world. Each and every year, thousands of people travel to and from Australia for numerous reasons; whether it is to relocate with family, work, study abroad, or to enjoy a relaxing holiday. Australia is a unique and diverse country in many ways, including but certainly not limited to the culture, climate, geography, and history. The country’s broad diversity is reflected in its food, lifestyle, cultural practices and experience; making it a one-of-a-kind destination. Whatever your interests might be, there is a wealth of things to see and do in Australia. It’s the perfect destination if you crave the adrenaline rush of extreme sports, or perhaps if you’re an avid animal lover, or even if you simply crave quality time at the beach. Surfing and Snorkeling – Without a doubt, one of the most popular draws of Australia is the stunning Great Barrier Reef. It is bestowed with a massively diverse and vivid marine life, making up the world’s largest coral reef system. You can literally immerse yourself in the world of the Great Barrier Reef through activities such as snorkeling and scuba. If surfing is more your thing, you might be enticed by some of Australia’s incredible coastlines. The beaches in Australia range from epic, to downright heavenly. The Twelve Apostles in Victoria is undeniably one of the most spectacular stretches of coast to be found anywhere on earth. Even the big city beaches are great – and how many places can say that? Though, arguably, one of the best beaches in Australia is Bondi; a world-famous beach and a surfers’ paradise. Located in Sydney, Bondi Beach boasts favourable weather all year long and offers other activities, too, such as shopping and coastal walks. Witness the wildlife – Australia is world-renowned for its wildlife, and getting to see it up close is a once-in-a-lifetime experience. You can witness massive whales and adorable bottlenose dolphins in Monkey Mia, or you can watch the world’s smallest penguins in Philip Island, or spot emus, koalas, kangaroos, and more in Tower Hill Wildlife Reserve. Touch the sky while skydiving – If you crave adventure and adrenaline, skydiving is one of the most popular adventure-seeking activities to partake in Australia. Some of the best places for skydiving in Australia includes Wollongong, Rottnest Island, Sydney and York. Australia is as wide as the distance between London to Moscow. Australia was the second country in the world to allow women to vote. Each week, an average of 70 tourists overstay their visas. The Great Barrier Reef is the planet’s largest living structure. Melbourne has the world’s largest Greek population outside of Athens. Kangaroos and emus cannot walk backward. The average Aussie drinks approximately 96 litres of beer per year. An Australian man once tried to sell New Zealand on eBay. The biggest property in Australia is bigger than Belgium. In 1880, Melbourne was the richest city in the world. There are three times as many sheep than people living in Australia. The legal drinking age in Australia is 18 years old. People from Queensland are often nicknamed ‘Banana Benders’. Thongs in Australia aren’t what you think they are – they’re flip flops! Australia is the direst of any continent on earth other than Antarctica. Australia is the only continent covered by a single country. The Australian state of Tasmania has the world’s cleanest air. Melbourne has the largest public tram system in the world. Sydney is NOT Australia’s capital – Canberra is. Australia just so happens to be one of the most popular countries in the world to emigrate to, with thousands of people moving there each and every year for an abundance of different reasons, whether it be for work or otherwise. It goes without saying that taking the leap and relocating to Australia can be a monumentally life-changing experience. Life in Australia offers incredible opportunities; from work, to travel, to education and so much more. Not to mention the fact that there is truly an abundance of things to see and do, from visiting famous, stunning landmarks to snorkeling in the Great Barrier Reef. Australians tend to welcome expats from all over the world with open arms; they have a reputation for being laid-back and friendly, and it couldn’t be more true. And, with such a multi-cultural society, you’ll be far from feeling like a fish out of water. In fact, each and every year, Australia celebrates diversity on what is known as Harmony Day (21 March). 1. Numerous career opportunities available to expats. 2. It has one of the most efficient healthcare systems in the world. 3. Known for its laid-back lifestyle and perfect work-life balance. 4. The favourable climate all year round. 5. The diverse, multi-cultural society. 6. The universal use of the English language. 7. The breathtaking, unparalleled outdoors. 8. The world-renowned, top-notch education system. 9. Australians are renowned for being some of the world's friendliest people. 10. The country boasts some of the world's most liveable cities. There’s no doubt that relocating to Australia can be a life-changing experience. Although it can be a thrilling prospect, it can also be slightly daunting. It certainly doesn’t have to seem quite so terrifying, however, if you’re dreaming of making the journey to the Land Down Under, here are a few important things you should put plenty of research into first. The cost of living in Australia is comparable to neighbouring New Zealand and typically higher than that of the UK or the USA; after all, Australia is somewhat notorious for having a more expensive way of life, especially within popular cities such as Melbourne and Sydney. Expats relocating to Australia often see a salary increase by an average of 30%. The country’s official currency is the Australian Dollar, usually appearing as AUS, $A or $. Researching job opportunities in your new country is undoubtedly a priority when it comes to relocating and, thankfully, finding a job overseas isn’t as far-fetched as it used to be. Thankfully, Australia has a strong economy and plenty of opportunities for work, with the country seeing a generally low unemployment rate (around 5%). If you are highly skilled, there will be opportunities aplenty to be found all across the country. Though, it may be worth noting that Australia tends to decline visas to those who cannot provide a trade of any kind. Australians pride themselves on perfecting a work-life balance, making it a truly ideal place to find a new job and carve out a potential new career path for yourself. The standard of education across Australia is world-renowned, and for very good reason. 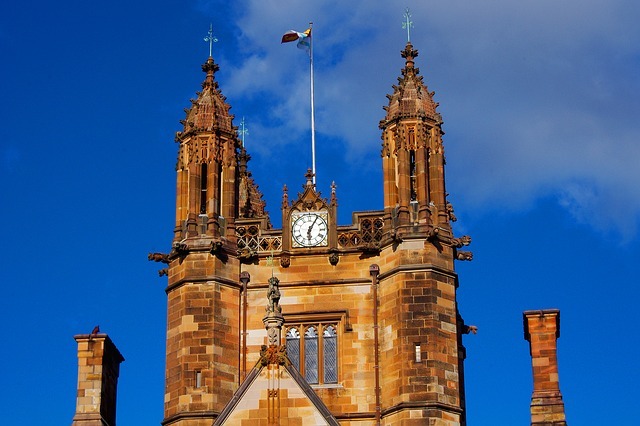 Each year, students from all over the world are enticed by the state of the art teaching facilities at institutions such as the University of Melbourne or the University of Sydney. Just like the UK, public schools are free. Though it may be important to note that temporary residents may have to pay a small fee for primary education in Australia until full residency is granted. There are also many private schools and international schools. That said, due to the government’s active role in education, there is little in the way of difference between free and paid for education, which is ideal for many expats. It may give you peace of mind to know that Australia has one of the most efficient healthcare systems in the world. Medicare is Australia’s universal healthcare system, which is the primary health scheme that subsidises most medical costs in Australia for all Australian citizens and for all permanent residents. Medicare is financed by a Medicare levy, which is compulsory and administered through Australia’s tax system. Whether you’re relocating to Australia on a temporary or permanent basis, renting a home might be the ideal option for you, with often a range of lease agreements to choose from, from six months to one year. Though, it is worth noting that securing rental properties in popular cities such as Sydney and Melbourne, as opposed to areas which are more suburban or rural, can be stressful as the market moves quickly and prices are high. Of course, if you’re sure that you wish to relocate to Australia on a permanent basis, you do have the option to purchase a property. Traditional approaches to purchasing properties (similar to that of the UK) is available in Australia, though one of the most popular methods of buying a home in Australia is via an auction or a private seller. Australians have a reputation for leading a laid-back way of life. The ‘no worries, mate’ mentality is omnipresent in all parts of multi-cultural Australia. Generally speaking, they are very down to earth, place a high value on relationships and are welcoming of expats from all around the world. It really goes without saying that you are likely to fall in love with Australia from the very moment you arrive, and the more Australians you meet, the more you will come to truly appreciate their honest, direct and well-intended nature. A prominent part of Australian culture is undoubtedly the food, and it certainly has no shortage of incredible food at that. It is not uncommon to be invited to a barbie (BBQ) – in fact, you could almost say it’s a rite of passage in Australia. That’s because the concept of eating in Australian culture is very much centred around community and sharing. Did you know? Australia has no official language. Despite that, English is still the most widely spoken language. It is closely related to the English of Britain, however, there are a few notable differences in spelling. Though, it is worth noting that expats will often hear Australian English; renowned for its slang (“Strine”) and quirky sayings. Many immigrants across Australia speak a range of other languages including Chinese and Greek. Set up an Australian bank account as soon as you can. Get your healthcare in Australia sorted early to avoid any problems. Keep a record and stay on top of your finances – save, save save! Sell/donate goods that you don’t really need to free up space. There’s no denying that the idea of moving yourself and all of your possessions to a new country is daunting. Thankfully, when it comes to moving all of your worldly belongings, there are a number of options out there to choose from which can ensure your whole relocation process runs as smoothly as possible. It’s important to make yourself aware of the different options available; as some will suit your personal needs better than others. International removal services offer the transportation of your belongings from one country to another, often by air or by sea freight, aiding you to uplift your life to a brand new destination. Although costs can quickly mount up, depending on the scale of your move, there’s no doubt that traditional international removals services are the perfect option if you need to ship large, bulky items including beds, sofas or even your car. Air freight is a much faster option of transporting your items, though as it is typically priced by weight and volume, it is the more costly option of the two. Again, some international removals companies will offer a full door to door delivery service, whereas some may require you to arrange the transportation of your items to and from the airports yourself. My Baggage offers a convenient and affordable international moving service to Australia and to over 200 countries worldwide, across over 1,000 routes. With hassle-free door to door shipping, full online tracking and dedicated, unrivalled customer support available. We understand that when it comes to your luggage and personal belongings, it’s only natural to feel some apprehensive about handing everything over to a removals driver. At My Baggage, we strive to provide an international moving service you know you can trust. One of the main benefits of Uni Bagagge is the fact that we offer fantastic low rates on our international shipping services. Traditional international removals companies can be extremely expensive, and just not feasible for some who are hoping to relocate to Australia. Not to mention, airline baggage fees can be extortionate. As such, shipping all of your worldly belongings with My Baggage is a welcomed and more affordable alternative. We also offer an excellent price match tool if you happen to find a better price. My Baggage isn’t just affordable – our convenient service offers fantastic value for money. We offer a huge 30kg/66lb weight allowance per item for as little as £158 per item to Australia. As well, you have the option to send as many items as you like with us. 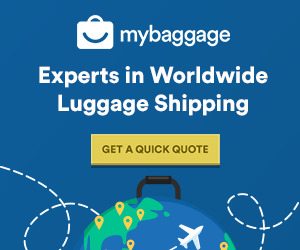 To give you that extra peace of mind, My Baggage will keep you updated from the moment you place your booking until the moment your shipment is delivered. You’ll be given the option to opt-in for text and email notifications to keep you fully up-to-date on where your items are and when they are due to arrive. We also provide full online tracking for every single shipment, which you can access anytime in your My Baggage account. In comparison to traditional international movers, which in some cases could take months for your belongings to arrive – with My Baggage, you don’t have to worry about waiting. We offer super fast overseas removals, with a 2-5 working day transit time to Australia. My Baggage’s convenient door to door collection and delivery service means you don’t have to worry about arranging for the transportation of your belongings to a port, nor do you have to worry about collecting them at the other side. My Baggage collects all of your belongings straight from your doorstep and delivers them straight to your destination. My Baggage offers a new approach to transporting oversized items such as bicycles, musical instruments, and sporting equipment to Australia. Shipping your oversized items to Australia with My Baggage is the easiest and most convenient way to avoid extortionate oversized/overweight baggage fees from your airline; we help you to avoid having to haul your bicycle or similarly oversized item through train stations, taxis, and airports. As well, My Baggage can often be much more cost-effective than hiring an entire international removals company for just a few items. Shipping oversized items with My Baggage is an efficient and affordable way of transporting them to their destination. 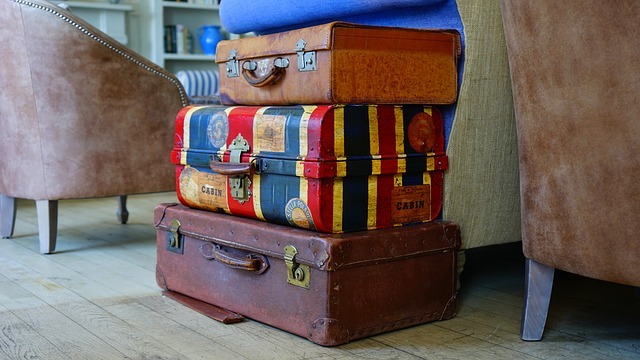 When you book a bag on your flight, you need to keep in mind your airline’s restrictive, less-than-generous baggage weight allowances when packing up all of your things. It means you may have to make the sacrifice that no one wants to make; leaving many of your beloved belongings behind (or even getting rid of them altogether!) Even then, you might still get a nasty surprise at the check-in desk, meaning you’ll have to cough up extortionate excess baggage fees. When travelling long-haul, it’s just not ideal. Shipping your excess baggage to Australia with My Baggage also makes that dreaded, tedious wait for the appearance of your suitcase at the luggage carousel in the airport a thing of the past. (Not to mention the possibility of your suitcase not appearing at all, which is everyone’s worst nightmare!) My Baggage ships your belongings quickly and safely. If you happen to be relocating to Australia to further your education, My Baggage can help you with your big move. Whether you’re relocating to Australia for a semester, an academic year or for the duration of your degree course; My Baggage can help you to transport all of your personal belongings straight to your new home on campus safely. My Baggage’s online booking system and door to door collection and delivery makes our service easy and convenient for busy students. And with My Baggage, you don’t need to worry about waiting weeks (or even months) for your important belongings to arrive. We offer fast transit times; with Express services available to and from all universities. The My Baggage team is made up of former students and recent graduates, so we understand how stressful the prospect of moving to university can be – not to mention relocating to a new country to do so! We make it our priority to make your experience as easy as possible. Our convenient student shipping services to Australia allows you to relax and enjoy what should be one of the most exciting times of your life. Want to know what other students think of My Baggage? You can read our customer reviews. When shipping to Australia, all goods must be cleared through customs. As such, you are legally required to complete and send a customs declaration with your shipment to Australia. If your shipment does not have a customs declaration attached, it will not make it past your local country border, and you may even have to pay return charges to get it back. When you book with My Baggage, we will automatically provide you with the appropriate customs declaration for you to complete, print, sign and attach. Generally, My Baggage shipments clear customs in a timely manner, free from duties and taxes, as most countries offer a generous duty-free allowance for personal effects. However, as customs processes and allowances differ all around the world, and because My Baggage has no direct association with customs authority; we do advise doing your own personal research into Australian customs and quarantine regulations before booking your shipment. It is important to follow any and all advice provided by customs directly. My Baggage specialises in shipping personal effects all over the world. However, for security and customs reasons, there are certain items which are considered prohibited. We also recommend that you do your own personal research into what may be prohibited from entry into your destination country before booking your shipment, as import allowances differ around the world. Certain items may be specifically restricted from entry into Australia by customs and/or quarantine. Shipments containing strictly restricted items such as foodstuffs, seeds/nuts or wooden products may result in the shipment having to be cleared by Australian quarantine, which can result in customs delays and charges. When shipping your belongings to the United States with My Baggage, we recommend using either suitcases or strong cardboard boxes. Or you can use a mixture of both! Shipping your belongings to Australia with My Baggage is effortless. Our easy to use online booking system is available 24/7 and takes just a few short moments to complete. Simply start by obtaining a quote straight from our website. Once you’ve booked, we’ll send you some shipping labels to print and attach to your items. After that, you can sit back and relax as we take care of everything else for you. It really is that easy.